Event Description: Dude tailgated me from Nelson rd near Nelson Park. He was on my bumper. I was going 40 in 35 but I slowed down and went the speed limit. Dude tailgated me and then at Fifth Avenue and Nelson he came up on the side of me to the right and began cussing me out and calling me names and he did some weird crap like he pulled out his camera and began filming as if I had done something to him. My passengers and I flipped him the bird. He then continued following and harassing me. I drove in a driveway near Ohio Dominican University. Dude came in behind me and blocked me in the driveway. When I got out to take pictures of him and his car he backed up and sped off. He didn’t get far so we ended up behind him and got a picture of his car and license plate. 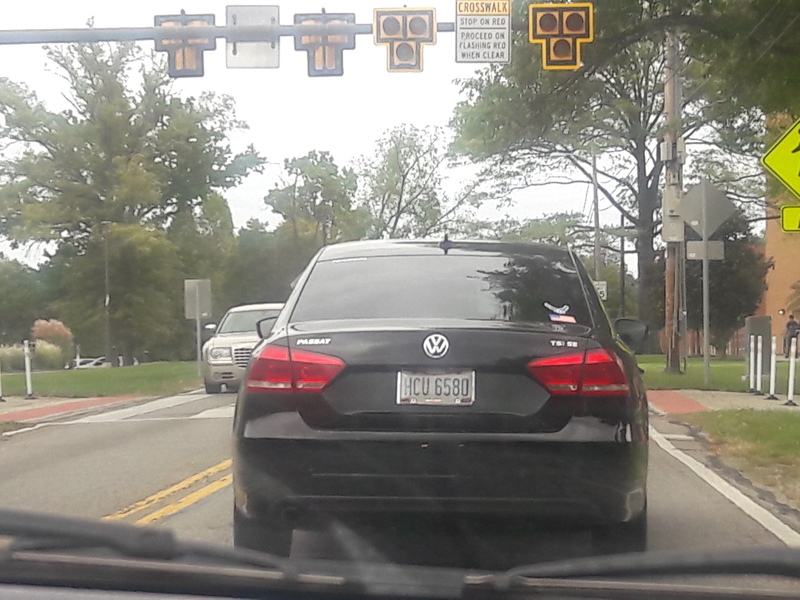 He harrassed us all the way to Easton in Columbus until I pulled up into a parking lot where a Columbus police officer was parked then he continued on towards Morse Rd. I reported him to CPD. Columbus is full of idiot drivers but this dude was a total nutjob. If you see him, please report him. He is going to seriously hurt someone or himself by behaving so recklessly.